This is the first time that I am writing about the magical powers of our mineral kingdom. Well, these beautiful beings are here to uplift humanity and raise energies in our subtle bodies. Having the privilege to work with these wondrous kingdom for the past decade, I must say that when it comes to healing and personal transformative work, nothing beats the presence of a raw stone. And after receiving positive feedback about the results from my clients, I have decided to share this information. Whenever you are feeling overwhelmed in the Mind, or get stressed up with many work timelines, and especially when you are involved in some heavy studying, you can count on a Fluorite stone to support you through the phase. Just wear the stone or place it in front of your work or study desk and allow its clarifying energies to help you focus and complete the task at hand. This is also a great stone that supports healing and carries the ability to draw out pains and negative energies from the wearer or holder. 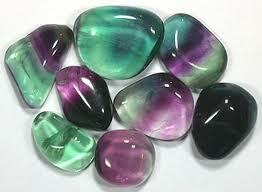 You would see that the stone actually comes in hues of green and violet. I still remember my first Fluorite stone which comes in bands of purple and green. After awhile, I start to notice that the purple band actually becomes lighter and lighter and the entire stone becomes white and green. That was the time when I realised that the stone has the ability to transmute all energies that it absorbs and self transforms its own bands of hues. So if you are feeling a tad confused or in doubt, invite a Fluorite stone into your life today! Before you start working with it, always discharge any residual energies under running water or sage it with incense. Do this at least once a month so that your stone can continue to support you effectively in your daily life. Once the Mind is clear, you would be able to See the path in which you are on. During the past week, I learnt a great deal about going with the flow of things in our daily life. 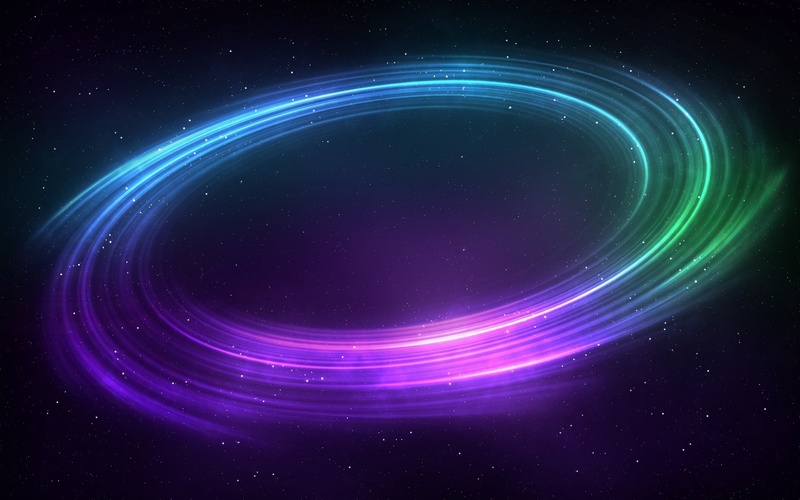 Perhaps, this is the missing puzzle towards the totality of creation. Setting intentions and being aware of what we think are necessary steps towards creating a more joyous and blissful life. Still, there will be many moments where the actual events do not match up with what we had in mind originally. Therefore, what’s left for one to do is to go with the flow by accepting “what is”. By allowing what is taking place in the moment, the focus shifts from the mind to the heart by simply “being present”. You see, the Mind always seeks to Know whereas the Soul simply IS. A little similar to what we usually read in the stories of Zen masters. Being deliberate about what we wish to create for ourselves during the day only serves half of the story. The other half has got a lot to do with the external conditions that are surrounding us during the day, astrological influences from the planets, our own thinking frequencies, physical feelings etc.. Therefore, I begin to appreciate more of what this universal Law of Allowing means… Yes, the Law of Attraction depicts that Like Attracts Like but for true manifestation of dreams into reality, one needs to master the Art of Allowing by flowing with the ‘current’ of the moment. As with all kinds of skills, for one to master both Arts of of Attraction and Allowing, it requires persistent daily practice. There is no pressure or timeline as I am aware that such mastery would probably take up an entire life time. Trust that the ‘current’ shall eventually lead us back to the vast ocean of ascension. May you be in the flow always….